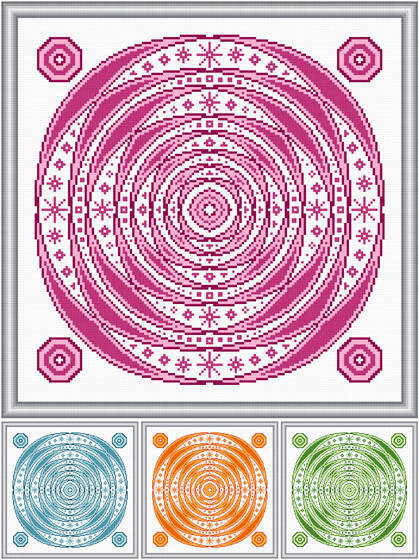 Self Image (4 color options) cross stitch pattern... Whether you feel like you are a star, a square, or like you are constantly going in tangled circles, all effect how you feel about yourself. Four color options are given. Floss may be changed.